There are approximately 19.5M young Brits in the UK. Almost half (48%) of young Brits think it’s harder than ever to get on the property ladder, with one in 10 prepared to leave the UK in order to buy their own home. New research from the Halifax uncovered the attitudes of young people who don’t own a property, revealing that a quarter of 18-34-year-olds think the only way they’ll manage is by inheriting the cash. Eight out of 10 feel that a lack of affordable property is keeping home ownership out of reach, and as a result one in 10 (14%) think they’ll need to rent forever. However, first-time buyers end up on average £651 a year better off buying than renting. Despite the number of first-time buyers reaching a 10-year high of 339,0001 in 2016, half of 18-34-year-olds don’t think home ownership is a realistic option for their generation – with two thirds (65% or 12.6M people) saying they don’t earn enough to afford it. Unsurprisingly, deposits remain too unrealistic and expensive for more than half (52%) of young people as the average age of those buying their first home has crept slowly up to 30. More than half of young people feel that the average house price for a first home in their area is currently unrealistic for them, causing generation rent to think about relocating to boost their chances of buying. One in five (22%) 25-34 year-olds would move to a cheaper area and even more of their younger counterparts aged 18 to 24 would be prepared to pack their bags for a bargain home elsewhere in the UK. 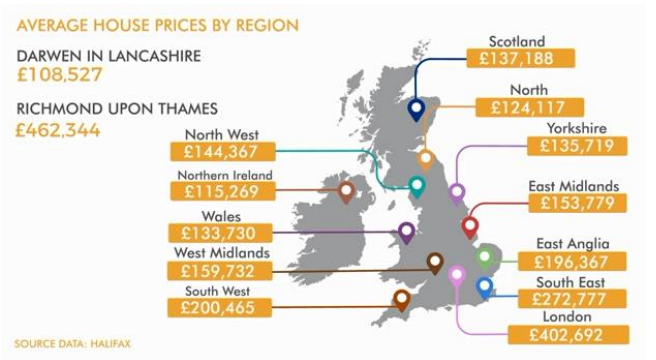 The average deposit put down for an average first-time buyer home is £32,3212 , rocketing to £100,445 in London. 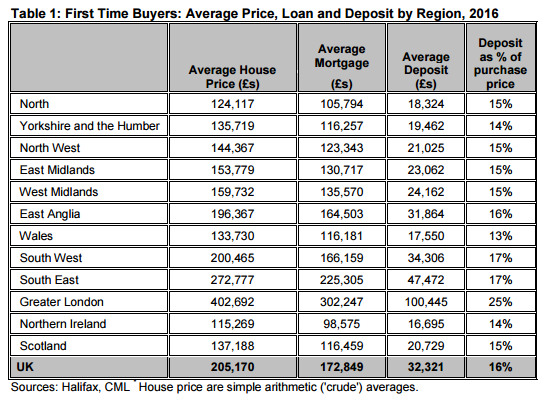 Northern Ireland has the lowest at £16,695 – less than half of the average deposit needed in the South East (£47,472). Although aspiring homeowners could begin gravitating towards the UK’s more affordable areas to get on to the property ladder, more than one in five (22%) feel that home ownership is a thing of the past. Even if they have managed to raise a deposit, a third (33%) feel mortgage criteria is too difficult for them to meet. How does Government schemes to help home buyers compare to Joint Equity Do buyers understand Shared Ownership Homes?